Having made waves with their 2015 debut, “The Life I Remember”, the band has dramatically progressed beyond the melodic death metal sound of that release into something more complex, emotional, distinct, and devastatingly heavy. 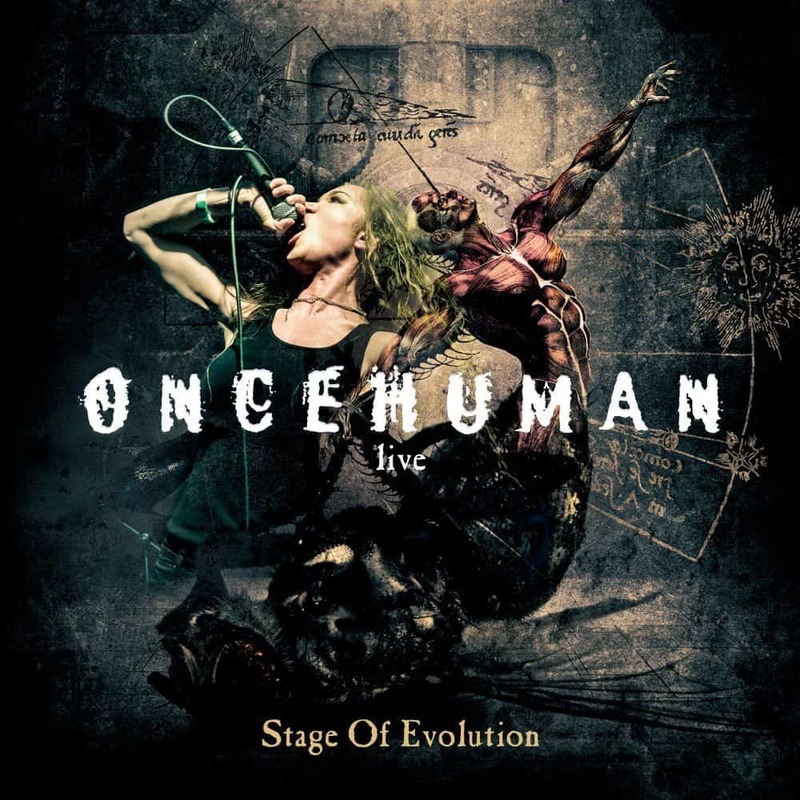 Evolution was not just the title of Once Human’s sophomore release last year it was an armor-plated declaration. And it evolved into something big. The video for their lead-off single “Eye Of Chaos” by now gathered more than 7.5 million views on YouTube alone. As not only the comments below their YouTube videos prove, Once Human fascinate with their complex and emotional sound, their thick, contorted riffs and Lauren Hart’s unique and bloodcurdling voice. Stage Of Evolution is the consequential mutation of the Evolution album from studio to stage. It was recorded during last year’s US tour and features not only songs from the studio album but also a cover of Machine Head’s “Davidian”, a track from their 1994 debut album Burn My Eyes, co-written by Once Human’s Logan Mader, whose name will be familiar to metalheads not only as the original guitarist in Machine Head and his late 90s stint in Soulfly but also for his production and mixing work on records from the likes of Gojira, Fear Factory and Devildriver. Beside singer Lauren Hart unleashing her forceful voice the track also features guest vocals by Fred Leclercq of Sinsaeneum and Dragonforce. The product is available as digipak and digital, both for an unbeatable price.